CHILDREN’S CHURCH: Praise the Lord for those who have volunteered for the upcoming quarter...many faithful servants indeed! However, we have an URGENT need of teachers, assistants for the 2 & 3 year old class during the second service. We also have need for child care (potty trained to 5th grade) on Wednesdays. Pastor Dan or Karen Mancao will provide the required training. Also if you haven’t helped in children’s church in the last year and plan to sign up, please see Pastor Dan after signing up. HARVEST FEST: There will be a Harvest Fest meeting for those who would like to volunteer TODAY after the second service. The harvest fest will be on Saturday, October 31st, 2015 from 5:00 to 8:00 pm, here in the church parking lot. If you would like to be a blessing and sign-up to volunteer for the upcoming Harvest Fest, please see the detailed sign-up sheet on the bulletin board in the foyer. See Pastor Kelly or Kathy Jenkins for more information. YOUTH ADVENTURE: We invite all Junior High and High Schoolers to join us for a time of Adventure with Victor and Martha Magallon. Sign up sheets are posted in the foyer for these events. The cost is $10.00 per person. Chaperones will be needed for these events. Please see Pastor Felix for more information. AWANA: For all interested clubbers and leaders, AWANA will begin the new season on October 4th, 2015 at 5:30 PM. We are still in need of leaders and helpers. Also, for parents, we will be having registrations this week on the patio after both services. Please see Pastor Dan, Sarah Reed or Susan Fuchikami for information. TRAIL LIFE: Trail Life is a Christ-Centered Scouting ministry for young men of all ages. Our desire is to have one here at CCWO and to use it to reach out to the young within our own community. We are presently still in need of Leaders to serve in the various age groups within this ministry. The need is from Kindergarten aged boys up through the 12th grade. So, please if you would like to be involved in this incredible outreach to young men, sign up on the bulletin board. You can also see Pastor Tau or Michael Williams for more information. WOMEN’S FELLOWSHIP BREAKFAST: Attention Ladies! We invite you to join us for a time of worship, prayer, and fellowship on Saturday, November 7th, 2015 from 8:00 to 10:00 AM here in the sanctuary. Please sign up on the bulletin board if you plan to attend so we can plan for food preparation. FOOD & FELLOWSHIP: Everyone is invited to join us for “Food and Fellowship” next Sunday, October 4th after the 2nd service on the lanai. We will have hot dogs or hamburgers with chips and a drink available for a suggested donation of $1.50. This ministry is an extension of the Youth Ministry so for all the Youth in the Fellowship, please consider signing up to help in this event. See Hendrik Feliciano or Felix Tan for more information. CHILDREN’S CHURCH: Praise the Lord for those who have volunteered for the upcoming quarter...many faithful servants indeed! However, we have an URGENT need of teachers, assistants for the 3rd - 5th graders during the first service and the 2 & 3 year old class during the second service. We also have need for child care (potty trained to 5th grade) on Wednesdays. Pastor Dan or Karen Mancao will provide the required training. Also if you haven’t helped in children’s church in the last year and plan to sign up, please see Pastor Dan after signing up. HARVEST FEST: If you would like to be a blessing and sign-up to volunteer for the upcoming Harvest Fest, please see the sign-up sheet on the bulletin board in the foyer. See Pastor Kelly or Kathy Jenkins for more information. AMERICAN HERITAGE GIRLS: There is a meeting scheduled for TODAY, Sunday, September 20th for everyone who signed up for this ministry in classroom #1 & 2 immediately after the Second Service. See Pastor Tau for more information. Sign up sheets are posted in the foyer for these events. The cost is $10.00 per person. Chaperons will be needed for these events. Please see Pastor Felix for more information. AWANA: For all interested clubbers and leaders, AWANA will begin the new season on October 4th, 2015 at 5:30 PM. We are still in need of leaders and helpers. There will be a dry run walk through TONIGHT at 5:30 PM to demonstrate how the nights will flow. Also, for parents, we will be having registrations this week and next week on the patio after both services. Please see Pastor Dan, Sarah Reed or Susan Fuchikami for information. TRAIL LIFE: Trail Life is a Christ-Centered Scouting ministry for young men of all ages. Our desire is to have one here at CCWO and to use it to reach out to the young within our own community. We are presently still in need of Leaders to serve in the various age groups within this ministry. The need is from Kindergarten aged boys up through the 12th grade. So, please if you would like to be involved in this incredible outreach to young men, sign up on the bulletin board. There will be a meeting TODAY Sunday September 20th, in the sanctuary at 12:30. You can also see Pastor Tau or Michael Williams for more information. MEN’S FELLOWSHIP BREAKFAST: Attention Men! We invite you to join us for a time of worship and fellowship THIS Saturday, September 26th at 7:00 AM in the sanctuary. We are told in scriptures not to forsake the gathering of believers. So for the men in the fellowship, please bring a friend to this event. A sign up sheet is available on the bulletin board. Please see Whitney Vellalos for more information. CHILDREN’S CHURCH: Praise the Lord for those who have volunteered for the upcoming quarter...many faithful servants indeed! However, we are still in need of teachers, assistants, helpers and praise & worship leaders. There is a sign-up board on the patio, so please take a look at the openings and prayerfully consider helping out this quarter. We also have need of children’s church workers for Wednesday Evening service. Pastor Dan or Karen Mancao will provide the required training. Also if you haven’t helped in children’s church in the last year and plan to sign up, please see Pastor Dan after signing up. AMERICAN HERITAGE GIRLS: There is a meeting scheduled for next Sunday, September 20th for everyone who signed up for this ministry in classroom #1 & 2 immediately after the 2nd Service. See Pastor Tau for more information. YOUTH ADVENTURE: We invite all Junior High and High Schoolers to join us for a time of Adventure with Victor and Martha Magallon on the dates noted in the flyer. A sign up sheet will be posted in the foyer as more information becomes available. See Felix for more information. AWANA: For all interested clubbers and leaders, AWANA will begin the new season on October 4th, 2015 at 5:30 PM. We are still in need of helpers and leaders if you are still interested, there will be a meeting TODAY Sunday, September 13, 2015 after the 2nd service. Please see Pastor Dan, Sarah Reed or Susan Fuchikami for further details and opportunities. FINANCIAL PEACE STUDY: For those who of you signed up for the Financial Peace Study, classes begin tomorrow evening, Monday September 14th at 7:00 PM in the sanctuary. Don’t forget to bring your workbook. Any questions please see Regan Blair. RIVER OF LIFE MISSION: Volunteers needed. We invite you to come and be a blessing to those less fortunate. Please join us on Thursday, September 17th, at 6:30 PM at the River of Life Mission located on North Pauahi Street between Maunakea and River Street. Free Parking is available on the street. For more information, please see Duke Kauka. MEN’S FELLOWSHIP BREAKFAST: Attention Men! We invite you to join us for a time of worship and fellowship on Saturday, September 26th at 7:00 AM in the sanctuary. We are told in scriptures not to forsake the gathering of believers. So for the men in the fellowship, please bring a friend to this event. A sign up sheet is available on the bulletin board. Please see Whitney Vellalos for more information. CHURCH CLOSED: The church office will be CLOSED tomorrow, Monday, September 7th in observance of Labor Day. SUNDAY NIGHT PRAYER: Please join us in the sanctuary tonight from 6 - 7 PM for a time of prayer. Jesus promised that if two of you agree on earth concerning anything you ask, it will be done by My Father in heaven. For where two or three are gathered together in My name, I am there in the midst of them (Matthew 18:19-20). CHILDREN’S CHURCH: Praise the Lord for those who have volunteered for the upcoming quarter...many faithful servants indeed! However, we are still in need of teachers, assistants, helpers and praise and worship leaders. There is a sign-up board on the patio, so please take a look at the openings and prayerfully consider helping out this quarter. We also have need of children’s church workers for Wednesday Evening service. Pastor Dan or Karen Mancao will provide the required training. Also if you haven’t helped in children’s church in the last year and plan to sign up, please see Pastor Dan after signing up. YOUTH OUTING: We have a Youth Outing to Bay View Mini-Putt and Zipline in Kaneohe. This event is scheduled for this Saturday, September 12th from 8:30 AM to 2:00 PM. The cost for this event is $40.00 per person which includes lunch at the site. In addition to the church Liability Waiver Form, Bay View also requires that each participant must fill out their own Liability Form. Both Forms should be available in the Foyer. There is a sign up sheet located in the Foyer or inside the Youth Room. As usual, drop off and pick up is at the church facility. The Bus leaves at 8:30 so please drop off for your youth at 8 AM. For more information and question, please seePastor Felix Tan. AWANA: For all interested clubbers and leaders, AWANA will begin the new season on October 4th, 2015 at 5:30 PM. We are still in need of helpers and leaders if you are still interested, there will be a meeting on Sunday, September 13, 2015 after the 2nd service. Please see Pastor Dan, Sarah Reed or Susan Fuchikami for further details and opportunities. table outside on the patio for more information. FOOD & FELLOWSHIP: Everyone is invited to join us for “Food and Fellowship” today after the 2nd service on the lanai. We will have hot dogs or hamburgers with chips and a drink available for a suggested donation of $1.50. This ministry is an extension of the Youth Ministry so for all the Youth in the Fellowship, please consider signing up to help in this event. See Hendrik Feliciano or Felix Tan for more information. 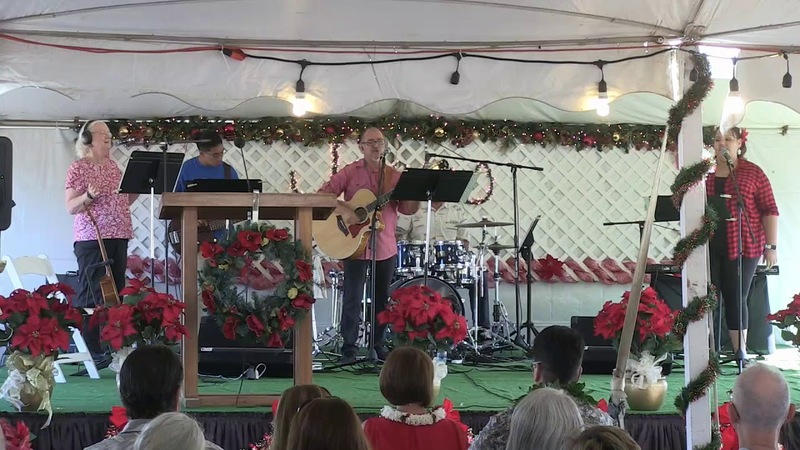 DISTRACTIONS: As we gather together to worship our Lord in song and to study His Word, it is truly our desire to allow the Lord to minister to each and every heart both personally and individually. So, we humbly request your help in making that all possible by keeping the distractions to a minimum during this important time of corporate worship. Thanks so much! With much love for you all, the pastoral staff of CCWO. As often the case, Jesus had multitudes that followed Him while another multitude waited along the paths. This particular moment was no exception. Zacchaeus was curious to see Jesus and a glimpse of the Master would have been satisfactory to him. In his curiosity, Zacchaeus needed to climb a tree to get a good vantage of view because he was short in stature. Although the crowd thronged around the Master as He was passing, to Zacchaeus’s surprise, Jesus stopped, turned, and looked directly at him! Thus began a special time with Jesus that radically changed his life. Jesus will relate to you in ways that are unique to you. He knows your past. He knows what you will face in the future because He knows everything about you. His word to you will perfectly fit the circumstances of your life. None of us are ever insignificant to God. USHER MINISTRY: Calling all friendly faces! If you have been attending CCWO for about 6 months and are looking for a place to serve, please consider our Usher Ministry. If you are interested and available for either our 8:30 AM or 10:30 AM service, please see Russell Henna. VOTER REGISTRATION DRIVE: We will have a voter registration drive today and next Sunday, September 28th after both services. The deadline to register for the general election is October 6th. Forms for absentee voting are also available. If you have any questions, please stop by the table after service. HARVEST AMERICA: We are a host location for this nationwide event with Pastor Greg Laurie Sunday, October 5th LIVE at 1 PM HST. The goal of Harvest America is to impact a nation desperately in need of hope. It will include a clear gospel message by Greg as well as performances by top Christian artists. We have included a prayer bookmark. Please pray for this event and use the enclosed flyer to invite an unsaved friend or family member. Information is available at www.harvestamerica.com. HARVEST FEST CAR WASH: We are having a car wash this Saturday, September 27th from 9 AM ­ - 1 PM to offset the upcoming Harvest Fest expenses. There is a sign­up sheet on the bulletin board if you would be willing to volunteer some time to help. Also, presale tickets are available for the suggested donation of $5. Please see Pastor Kelly or Kathy Jenkins or stop by the church office if you are interested in purchasing one. PERFORMING HEARTS MINISTRY: Do you enjoy video production, computer graphics, acting, singing, dancing, writing skits or anything theatrical? If so, please prayerfully consider joining this exciting new ministry. There is a sign­up sheet on the bulletin board. Practice is each Saturday from 12:30 - ­ 2 PM in the sanctuary. For more information, please contact Kim Jacobson. WEDNESDAY NIGHT CHILDREN’S MINISTRY: There is an opportunity to serve in our Nursery/Toddler class on Wednesday nights at 7 PM. Please see the sign­up sheet on the bulletin board if you are able to assist. AWANA: If you would be interested in helping out in any capacity with our Awana clubs, please sign up on the bulletin board. This is a great opportunity to help our children have a lasting and fruitful relationship with Jesus. Please see Dan Jacobson, Susan Fuchikami or Sarah Reed for more information. CHILDREN’S MINISTRY: The new quarter began last Sunday. There is still opportunity to serve as a substitute teacher or assistant. There is also a need for worship leaders during the first service. Please prayerfully consider becoming a part of this vital ministry. If you have attended CCWO for about 6 months and would like to serve, please see Dan Jacobson, Karen Mancao or Amy Brumm. Many people don’t like to hear the word “budget.” To most it means being restricted, yet the opposite is true when using a budget to manage your personal finances. In Proverbs we are told to look at the ant and observe its ways and “be wise.” The Gospel of Luke instructs us to be “faithful with little.” Proverbs also tells us that the fool spends all he gets, but in the house of the wise the cupboards are full. Be wise with your God given financial resources by using a budget. By having a written budget and following Scripture, you can financially plan for the future, get out of debt (and stay out), regularly save and invest, and you can be an incredibly generous giver. The Bible is the ultimate manual on financial matters. As Christians we ought to be excellent in this area. God wants us to be free not only spiritually but financially, so that we can live and give more…freely. Financial peace is possible and very attainable. ROOM FOR INTERNS: We have two exceptional young ladies, Emily Ishiki and Marrisa Lopez, arriving next Sunday, September 21st to serve with us in our Children's and Youth ministries. We would like to assist them in finding an apartment or room to share. If you would like to host them or help in some way, please let us know. For details, please see Pastor John. PERFORMING HEARTS MINISTRY: Do you enjoy video production, computer graphics, acting, dancing, writing skits or anything theatrical? If so, please prayerfully consider joining this exciting new ministry. There will be a meeting today at 12:15 PM in classroom #1 for all who are interested. If you have any questions, please see Kim Jacobson. USHER MINISTRY: Calling all friendly faces! If you have been attending CCWO for about 6 months and are looking for a place to serve, please consider our Usher Ministry. If you are interested and would be available for either our 8:30 AM or 10:30 AM service, please see Russell Henna. RIVER OF LIFE MISSION: We invite you to come and be a blessing to those less fortunate. Please join us this Thursday, September 18th at 6:30 PM at the River of Life Mission located on North Pauahi Street between Maunakea and River Street. Free parking is available on the street. For more information, please see Duke Kauka. HARVEST AMERICA: We are a host location for this nationwide event with Pastor Greg Laurie Sunday, October 5th. The goal of Harvest America is to impact a nation desperately in need of hope. It will include a clear gospel message by Greg as well as performances by top Christian artists. Information is available at www.harvestamerica.com. WOMEN’S STUDY: Attention Ladies! It’s not too late to join us for the women’s Bible study, The Book of Revelation, meeting each Thursday at 9 AM and 7 PM. This study is taught by Cheryl Brodersen via video. Please see Irene Couch for more information. AFTERGLOW: Please join us in the sanctuary tonight at 6 PM as we gather for worship and prayer. As believers, we will seek the Lord and His Word for the ministry and gifts of the Holy Spirit. Please see Pastor John for additional information. CHILDREN’S MINISTRY: The new quarter begins today. There are opportunities to serve during the first service in the 2’s & 3’s class as well as the 3rd ­ 5th grade class and during the second service in the 6th - ­ 8th grade class. There is also a need for worship leaders during the first service. Please prayerfully consider your part in this vital ministry. If you have attended CCWO for about 6 months and would like to serve, please see Pastor John, Karen Mancao or Amy Brumm. AWANA: Our Awana program starts back up this Wednesday, September 10th at 7 PM. This is a great tool for evangelism and disciple making of children and parents too. You may register your children today after both services on the Lanai. There is also a sign­up sheet on the bulletin board if you would like to volunteer. Please see Susan Fuchikami or Sarah Reed for any questions. WORSHIP CONFERENCE: The worship conference at Calvary Chapel Honolulu is this Saturday, September 13th from 9 AM ­ - 3 PM. If you plan to attend, please sign up on the bulletin board as we need a head count. Please see Pastor Dean if you need more information. WOMEN’S STUDY: It’s not too late to join us for the women’s Bible study, The Book of Revelation, meeting each Thursday at 9 AM and 7 PM. This study is taught by Cheryl Brodersen via video. Please see Irene Couch to purchase a workbook. WOMEN’S STUDY CHILDCARE: If you would like to be a blessing to those ladies in need of childcare, please consider volunteering for the 7 PM Thursday women’s bible study session. If you are able to help, please see Irene Couch. SEGUE MISSION TRIP FUNDRAISER: Our Young Adults Group “Segue” will be ministering at Shoreline Church in New Zealand this October. Please use the enclosed Panda Express fundraising flyer today to support them! PERFORMING HEARTS MINISTRY: Do you enjoy video production, computer graphics, acting, dancing, writing skits or anything theatrical? If so, please prayerfully consider joining this exciting new ministry. There will be a meeting next Sunday, September 14th at 12:15 PM in classroom #1 for all who are interested. If you have any questions, please contact Kim Jacobson. RIVER OF LIFE MISSION: Volunteers needed. Please join us Thursday, September 18th at 6:30 PM at the River of Life Mission located on North Pauahi Street between Maunakea and River Street. If you have questions, please see Duke Kauka. HARVEST AMERICA: We are a host location for this nationwide event with Pastor Greg Laurie Sunday, October 5th. The goal of Harvest America is to impact a nation desperately in need of hope. It will include a clear gospel message by Greg Laurie as well as performances by top Christian artists. We have included a prayer bookmark. More information is available at www.harvestamerica.com. In marriage, a career, a calling, or something as trivial as a diet or fitness program, few finish what they’ve begun. The same is true with spiritual things; like studying your bible, seeking to win family and friends to the Lord or following through on whatever commitment you’ve made to the Lord. Starting is exciting, yet too many quit before they attain their goal. And so they miss out on the blessed discovery that, “the end of a thing is better than its beginning.” How then do you finish what you’ve started? You must understand that it will take time and stamina! You’ll need to lay aside every weight and the sin which so easily ensnares you; looking unto Jesus, the author and finisher of your faith (Hebrews 12:1­2). That said, what’s weighing you down or tripping you up? Get rid of it. Lighten your load. Then be “looking to Jesus” because you can’t do it alone, nor are you called to do so. Finally, be hopeful for He who has begun a good work in you will be faithful to complete it (Philippians 1:6). Having the assurance of God’s promise you can be confident it’s going to get better, so hang in there! HARVEST AMERICA: We are a host location for this nationwide event with Pastor Greg Laurie TONIGHT at 6 PM. The goal of Harvest America is to impact a nation desperately in need of hope. It will include a clear gospel message by Greg Laurie as well as performances by top Christian artists. Please invite an unsaved friend or family member. For more information, please see Pastor Tau or Pastor Kelly. 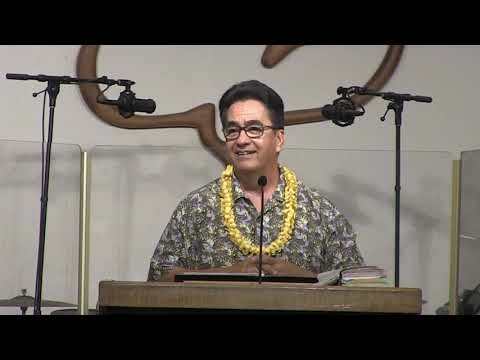 CALLING A SOLEMN ASSEMBLY: Everyone is encouraged to meet at the Hawaii State Capitol Rotunda for a time of corporate prayer next Sunday, October 6th from 3­5 PM. Please see the enclosed flyer for more information. If you have any questions, please see Pastor Tau. MID–WEEK COMMUNION SERVICE: Every first Wednesday of the month we set aside a time of worship, prayer and communion. We invite everyone to please join us in this special time of worship this Wednesday, October 2nd at 7 PM in the sanctuary. MONDAY NIGHT PRAYER: We invite everyone to pray with us Monday, October 7th at 7 PM here in the sanctuary. We want to encourage you to consider making the time for this precious opportunity of intercessory prayer for all believers in Christ. Please see Pastor Tau for more information. CCWO 2014 FELLOWSHIP DIRECTORY: Cameron Stevens will be taking pictures for the 2014 Fellowship Directory today. He will be available on the front lawn after both services. If you are taking a picture, please give the enclosed insert to Cameron. We have the pictures and information updates from last year so you only need to complete a new one if you need to make changes or would like a new picture. HARVEST FEST: We would like to ask for donations of hot dogs and hot dog buns. Please sign up on the bulletin board if you plan to contribute. We ask that you bring them to the church between the Monday and the Wednesday before the event. We also need bags of candies. You may drop those at the church office during normal office hours or bring them with you on Sundays. For any questions, please see Kathy Jenkins. HOMESCHOOL/STAY­AT­HOME MOMS: Please invite a friend and join us for Mom’s Night Out at Chili's Restaurant in Kapolei tomorrow, September 30th at 6:30PM. Come for a time fellowship and encouragement in the Lord. For more information, please see Kim Jacobson. FOOD AND FELLOWSHIP: Everyone is invited to join us for “Food and Fellowship” today after the 2nd service. We will have hot dogs or hamburgers with chips and a drink available for a suggested donation of $1.50. HARVEST AMERICA: We are a host location for this nationwide event with Pastor Greg Laurie next Sunday, September 29th at 6 PM. The goal of Harvest America is to impact a nation desperately in need of hope. It will include a clear gospel message by Greg Laurie as well as performances by top Christian artists. Please use the enclosed invitation to invite an unsaved friend or family member. We have also included a prayer bookmark. More information is available at www.harvestamerica.com. CALLING A SOLEMN ASSEMBLY: Everyone is encouraged to meet at the Hawaii State Capitol Rotunda for a time of corporate prayer on Sunday, October 6th from 3­5 PM. Please see the enclosed flyer for more information. If you have any questions, please see Pastor Tau. MEN’S FELLOWSHIP BREAKFAST: Attention all men! We will have our monthly Men’s Fellowship Breakfast this Saturday, September 28th at 7 AM here in the sanctuary. We invite you to bring a friend and join us for a time of worship and fellowship. Please see Whitney Vellalos for information. HARVEST FEST CAR WASH: We are having a car wash this Saturday, September 28th from 9 AM­1 PM to offset the upcoming Harvest Fest expenses. There is a sign­up sheet on the bulletin board if you would be willing to volunteer some time to help. Also, presale tickets are available for the suggested donation of $5. Please see Pastor Kelly or Kathy Jenkins or stop by the church office if you are interested in purchasing one. CCWO 2014 FELLOWSHIP DIRECTORY: Cameron Stevens will be taking pictures for the 2014 Fellowship Directory today and next Sunday, September 29th. He will be available on the front lawn after both services. If you are taking a picture, please give the enclosed insert to Cameron. We have the pictures and information updates from last year so you only need to complete a new one if you need to make changes or would like a new picture. BASKETBALL: There will be a meeting here at our facility this Saturday, September 28th at 6 PM for all who signed up to participate in our “in house” basketball tournament. For any questions, please see Frank DeCoite or Felix Tan. HOMESCHOOL/STAY­AT­HOME MOM’S GROUP: Please note that the date has changed for the Hickam AFB swimming pool outing. It is now scheduled for this Thursday, September 26th from 1­3 PM. Please feel free to bring a snack to share. For any questions, please see Kim Jacobson. FOOD PANTRY DONATIONS: There is a need to fill our Food Pantry. All non­perishable items are appreciated but our greatest needs are canned meats, canned vegetables, canned fruits and soups. Every donation helps families here at CCWO as well as families in our Ewa Beach community. Please bring your donations to the church office on Sundays or Monday­Friday from 8 AM­4 PM. Thank you for your generosity and love! AFTERGLOW: Please join us in the sanctuary tonight at 6 PM as we gather for worship and prayer. As believers, we will seek the Lord and His Word for the ministry and gifts of the Holy Spirit. Please see Pastor John for more information. CHILDREN’S MINISTRY SIGN IN: Attention Parents! Please note that we need you to sign your children in and out of their classroom regardless of age. Mahalo! AWANA: Approved Workmen Are Not Ashamed (2 Timothy 2:15). Our Awana program is starting back up this Wednesday, September 18th. This is a great tool for evangelism and disciple making of children and parents too. You may register your children today after both services on the Lanai. Please see Pastor John if you would like to help with the program. RIVER OF LIFE MISSION: Volunteers needed. We invite you to come and be a blessing to those less fortunate. Please join us this Thursday, September 19th at 6:30 PM at the River of Life Mission located on North Pauahi Street between Maunakea and River Street. Free parking is available on the street. For more information, please see Duke Kauka. MEN’S FELLOWSHIP BREAKFAST: Attention all men! We will have our monthly Men’s Fellowship Breakfast Saturday, September 28th at 7 AM here in the sanctuary. We invite you to bring a friend and join us for a time of worship and fellowship. Please see Whitney Vellalos for information. HARVEST FEST CAR WASH: We will be having a car wash Saturday, September 28th at 9 AM to offset some of the upcoming Harvest Fest expenses. There is a sign­up sheet on the bulletin board if you would be willing to volunteer some time to help. Also, presale tickets are available for the suggested donation of $5. Please see Pastor Kelly or Kathy Jenkins or stop by the church office if you are interested in purchasing one. HARVEST AMERICA: We are a host location for this nationwide event with Pastor Greg Laurie on Sunday, September 29th at 6 PM. The goal of Harvest America is to impact a nation desperately in need of hope. It will include a clear gospel message by Greg Laurie as well as performances by top Christian artists. More information is coming in next Sunday’s bulletin or you can go to www.harvestamerica.com. MY HOPE WITH BILLY GRAHAM: There will be a unique opportunity for evangelism with Billy Graham on Thursday, November 7th. Billy will present the gospel by video across our land through thousands of homes and churches. Please see Pastor John or Pastor Kelly or go to www.myhopewithbillygraham.org for more information. Please be praying for this event! BASKETBALL: We are trying to get an idea of how many people are interested in a CCWO “in house” basketball tournament. Please sign up on the bulletin board if you would like to participate. For any questions, please see Frank DeCoite or Felix Tan. SERVANT SCHOOL: Please join us tonight from 6­7:30 PM as we begin our study on how to understand and apply the Bible. Please see Pastor John for more details. MONDAY NIGHT PRAYER: We invite everyone to pray with us tomorrow at 7 PM right here in the sanctuary. We want to encourage you to consider making the time for this precious opportunity of intercessory prayer for all believers in Christ. AFTERGLOW: Please join us in the sanctuary next Sunday, September 15th at 6 PM as we gather for worship and prayer. As believers, we will seek the Lord and His Word for the ministry and gifts of the Holy Spirit. Please see Pastor John for more information. AWANA: Approved Workmen Are Not Ashamed (2 Timothy 2:15). Our Awana program will be starting back up Wednesday, September 18th. This is a great tool for evangelism and disciple making of children and parents too. You may register your children today after both services on the Lanai. Please see Pastor John if you would like to help with the program. WOMEN’S BIBLE STUDY: Ladies, it’s not too late to join us for the 8­week study, “Mercy Triumphs” by Beth Moore. There is a session each Thursday at 9 AM and 7 PM. The cost of the workbook is $18. For more information, please see Irene Couch. RIVER OF LIFE MISSION: Volunteers needed. We invite you to come and be a blessing to those less fortunate. Please join us Thursday, September 19th at 6:30 PM at the River of Life Mission located on North Pauahi Street between Maunakea and River Street. Free parking is available on the street. For more information, please see Duke Kauka. FOOD PANTRY DONATIONS: There is a need to fill our Food Pantry. All non­perishable items are appreciated but our greatest needs are canned meats, canned vegetables, canned fruits and soups. Every donation helps families here at CCWO as well as families in our Ewa Beach community. Please bring your donations to the church office on Sundays or Monday­ - Friday from 8 AM to ­4 PM. Thank you for your generosity and love! VIDEO CABINET: We are discontinuing our video library. Mahalo to all those that have donated or participated. Please help yourself to anything that may interest you. The scripture we’re told is, “given…that the man [or woman] of God may be complete.” “Complete” is translated from the Greek word “artios” and refers to "being well fitted for some function, capable, proficient, able to meet every demand.” Does that describe your life? Have you become stagnant in your relationship with the Lord, feeling like something is missing? If so, get into the Word. Very few search all the scriptures! They just pick and choose a few. They are like those of whom Jesus said, “Have never read in the Scriptures...” (Matthew 21:42). And so “are mistaken, not knowing the Scriptures nor the power of God” (Matthew 22:29). Get into all the Word and get the Word into you! It shall accomplish what God has intended (Isaiah 55:11). BAPTISM: There will be a baptism today after the second service at Ewa Beach Park. Please see Pastor Charles or Pastor John if you would like to be baptized. There are also Water Baptism pamphlets available in the foyer. AFTERGLOW: Please join us tonight at 6 PM as we gather for worship and prayer. As believers, we will seek the Lord and His Word for the ministry and gifts of the Holy Spirit. Please see Pastor John for more information. ANSWERS IN GENESIS FOR KIDS: This children’s program for ages 3–11 begins this Wednesday at 7 PM. Themes will include prayer, the Bible, what is God like, and the Gospel. We would like to provide a nursery/toddler ministry as well. If the Lord is leading you to get involved, please see Pastor John or Amy Brumm. SEGUE: This is our young adults ministry for singles ages 18–30 meeting at the Tan’s home. Please note that Francis Kamahele, senior pastor of Horizon Christian Fellowship Honolulu, will be sharing this Friday. Please see Felix or Karen Tan for any questions. MEN’S FELLOWSHIP BREAKFAST: Attention all men! We will have our monthly Men’s Fellowship Breakfast this Saturday at 7 AM. We invite you to bring a friend and join us for a time of worship and fellowship. Please see Whitney Vellalos for information. WOMEN’S FELLOWSHIP BREAKFAST: Ladies, we invite you to join us for a time of worship and fellowship Saturday, October 13th from 8–10 AM in the sanctuary. Please sign up on the bulletin board so we can plan for food preparation. Please see Irene Couch for any questions..
MINISTRY MEETING: Please mark your calendar for a “potluck” ministry meeting Sunday, October 14th at 5 PM here at our church facility. We will have a time of worship, fellowship, and teaching from the Word of God following the potluck. Please attend if you are currently leading a ministry as we corporately gather to share our hearts with one another. Also please join us if you are currently serving or desiring to be involved in ministry. VOTER REGISTRATION: There will be forms available under the Fellowship Tent today and next Sunday for those needing to register for the upcoming election. Please see Pastor Tau for more information. AWANA: Approved Workmen Are Not Ashamed (2 Timothy 2:15). Mahalo to those who have expressed an interest and signed up. Please join us for a brief meeting Sunday, October 7th after the second service in classroom #1. Light lunch will be provided. Also, please mark your calendar and plan on attending the Awana leader’s conference Saturday, October 20th. Please see Pastor John for more information. HOSPITALITY MINISTRY: We are looking for some friendly people to serve at our Hospitality Table. If you have been attending CCWO for about 6 months and consider this your church home, this is a great ministry opportunity. For questions, please see Pastor Tau. Marriage is two, the man and the woman, becoming one. God brought about this oneness to bless Adam and Eve with a deep and holy intimacy. We also discover from the New Testament that marriage is to provide the world with a living illustration of a relationship between Jesus and His bride – the Church. After quoting the above mentioned Scripture, Paul reveals, "This is a great mystery, but it is an illustration of the way Christ and the Church are one" (Ephesians 5:32 NLT). So it's evident that marriage is much deeper than a cultural or legal commitment. More than a physical union, it's the joining of hearts and lives. This unique relationship is to reflect the love and oneness Christ has for His bride and vice versa. Be encouraged not to miss out on this depth of relationship. Be committed to the Lord and one another in your marriage, as a testimony to the world, in Jesus’ name. HARVEST FEST: Volunteers Needed! Please help us as we reach out to our community with this Halloween alternative. If you would like to be a part of this outreach, please come to the meeting next Sunday after the second service in classroom #1. Please see Kathy Jenkins for details. RIVER OF LIFE MISSION: Volunteers needed. We invite you to come and be a blessing to those less fortunate. Please join us this Thursday at 6:30 PM at the River of Life Mission located on North Pauahi Street between Maunakea and River Street. Free parking is available on the street. For more information, please see Duke Kauka. BAPTISM: There will be a baptism next Sunday after the second service at Ewa Beach Park. Please see the sign–up sheet on the bulletin board if you are interested. Also, please pick up a Water Baptism pamphlet from the foyer. For any questions, please see Pastor Charles. AFTERGLOW: Please join us here in the sanctuary next Sunday at 6 PM as we gather for worship and prayer. We will seek the Lord and His Word for the ministry and gifts of the Holy Spirit. Please see Pastor John for more information. ANSWERS IN GENESIS FOR KIDS: This children’s program for ages 3–11 will begin Wednesday, September 26th at 7 PM. Themes will include prayer, the Bible, what is God like, and the Gospel. There is an opportunity for teachers and helpers to serve God’s precious children. If the Lord is leading you to get involved, please sign up on the bulletin board. For additional information, please see Pastor John or Amy Brumm. MEN’S FELLOWSHIP BREAKFAST: Attention all men! We will have our monthly Men’s Fellowship Breakfast Saturday, September 29th at 7 AM. We invite you to bring a friend and join us for a time of worship and fellowship. Please see Whitney Vellalos for information. WOMEN’S FELLOWSHIP BREAKFAST: Ladies, we invite you to join us for a time of worship and fellowship Saturday, October 13th from 8–10 AM in the sanctuary. A preliminary attendee count is needed for this event; the sign–up sheet is on the bulletin board. Please see Irene Couch for any questions..
ONE TO ONE DISCIPLING: This 9–week bible study will begin meeting Thursday, October 18th at 6:30 PM in classrooms #1 and #2. Please see the enclosed insert for more information. If you plan on attending, please sign up on the bulletin board so we can order study journals. For more information, please see Pastor Kelly. AWANA: Approved Workmen Are Not Ashamed (2 Timothy 2:15). To begin, Lord willing, January 2013. It’s a great tool for evangelism and disciple making of children and parents too. There is a lot to do in preparation. Please prayerfully consider being a part of this venture in faith. To get involved, please see Pastor John or sign up on the bulletin board. HOSPITALITY MINISTRY: We are looking for some friendly people to serve at our Hospitality Table. If you have been attending CCWO for about 6 months and consider this your church home, please consider this ministry opportunity. For any questions, please see Pastor Tau. REFRESHMENT MINISTRY: If you are looking for a simple way to get plugged in, we need someone to serve the donuts after the first service. We also need someone to serve them after the second service for the next few weeks. If you could help, please see Pastor Tau. Saint Augustine wrote, “That bread which you keep belongs to the hungry; that coat which you preserve in your wardrobe, to the naked; those shoes which are rotting in your possession, to the shoeless; that gold which you have hidden in the ground, to the needy. Wherefore, as often as you are able to help others, and refuse, so often did you do them wrong.” Mother Theresa devoted her life to helping the poorest of the poor. After his firsthand observation of her arduous work among the filth, disease, and suffering in Calcutta, a television commentator told her, “I wouldn’t do what you’re doing for all the money in the world.” Her simple reply was, “Neither would I.” The LORD has blessed each of us so we can in turn bless others. How are you doing? MONDAY NIGHT PRAYER: We invite everyone to pray with us tomorrow at 7 PM right here in the sanctuary. We want to encourage you to consider making the time for this precious opportunity of intercessory prayer for all believers in Christ. Please see Pastor Tau for more information. 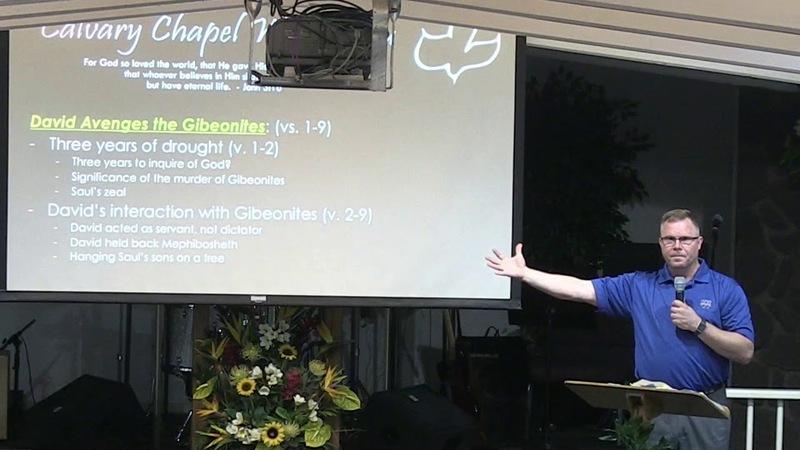 CHILDREN’S MINISTRY: The new quarter began last Sunday. We still need a second service teacher and assistant for the 2’s & 3’s class. Please prayerfully consider becoming a part of this ministry and be blessed by the children as we reach their heart for Jesus. If you feel led to serve in this ministry, please see Pastor John, Karen Mancao or Amy Brumm. WOMEN’S MINISTRY: Ladies, it’s not too late to be a part of our Bible study, Against All Odds, taught by Cheryl Brodersen through video. Please join us as we go through the book of Nehemiah. Please see Irene Couch for more information. CHILDCARE NEEDED: We are in need of some volunteers to help with childcare for the 7 PM women’s study session. If you would be able to assist, please see Irene Couch. RIVER OF LIFE MISSION: Volunteers needed. We invite you to come and be a blessing to those less fortunate. Please join us Thursday, September 20th at 6:30 PM at the River of Life Mission located on North Pauahi Street between Maunakea and River Street. Free parking is available on the street. For more information, please see Duke Kauka. AFTERGLOW: Please join us here in the sanctuary on Sunday, September 23rd at 6 PM as we gather for worship and prayer. We will seek the Lord and His Word for the ministry and gifts of the Holy Spirit. Please see Pastor John for more information. MEN’S FELLOWSHIP BREAKFAST: Attention all men! We will be having our monthly Men’s Fellowship Breakfast Saturday, September 29th at 7 AM. We invite you to bring a friend and join us for a time of worship and fellowship. Please see Whitney Vellalos for more information. ONE TO ONE DISCIPLING: This 9–week bible study will help you learn the basics of your Christian faith. The group will begin meeting Thursday, October 18th at 6:30 PM in classrooms 1 and 2. The cost for the study guide is $12.50. Please see the sign–up sheet on the bulletin board. For more information please see Kelly Jenkins. AWANA: Approved Workmen Are Not Ashamed (2 Timothy 2:15). To begin, Lord willing, January 2013. It’s a great tool for evangelism and disciple making of children and parents too. There is a lot to do in preparation. Please prayerfully consider being a part of this venture in faith. To get involved, please see Pastor John. There is a lot we could take from this scripture, but we'll just look at one aspect – unity of spirit. God could have solved Moses’ weariness in an instant and in a number of ways without the need to use others. He gives us this example to remind us of the need to not only be concerned with ourselves, but to be sensitive to the struggles of our brothers and sisters. We should take the time to understand their needs, then act in unity as an intercessor and share in their burdens through the duration of the battle – “until the going down of the sun.” If you have a free hand, extend it, and take the time to steady a weary friend. CHILDREN’S MINISTRY: The new quarter begins Today. We still have a few needs for the second service. We need a teacher and assistant for the 2’s & 3’s class as well as an assistant for the 4’s & 5’s class. Please prayerfully consider becoming a part of this ministry and be blessed by the children as we reach their heart for Jesus. Full curriculum is provided. You provide time for prayer, preparation and a willing spirit. If you have attended CCWO for 6 months and would like to serve, please see Pastor John, Karen Mancao or Amy Brumm. GUEST SPEAKER: We look forward to having John Beers, representing the international ministry Gospel for Asia, sharing at both services next Sunday. John has traveled to the mission field numerous times and has seen the desperation of those who have yet to hear the name of Jesus. He has also witnessed the incredible way God is moving and changing precious lives forever. Please join us and learn how you can be a part of reaching the lost millions of Asia. You will leave with new insight into God’s heart and a fresh desire to truly live like Jesus. WOMEN’S MINISTRY: The next women’s Bible study Against All Odds begins this Thursday. Please join us as we go through the book of Nehemiah. Additional information can be found on the enclosed insert. CHILDCARE NEEDED: We are in need of some volunteers to help with childcare for the upcoming women’s study. If you would be able to assist at either the 9 AM or 7 PM session, please see Irene Couch. MID–WEEK COMMUNION SERVICE: Every first Wednesday of the month we set aside a time of worship, prayer and communion. We invite everyone to please join us in this special time of worship this Wednesday at 7 PM in the sanctuary. MONDAY NIGHT PRAYER: We invite everyone to pray with us Monday, September 10th at 7 PM right here in the sanctuary. We want to encourage you to consider making the time for this precious opportunity of intercessory prayer for all believers in Christ. Please see Pastor Tau for more information. AWANA: This is a great evangelism tool to reach families for Christ. Awana incorporates Scripture memorization along with fun and games to minister to children. We would like to begin this program here at CCWO in January 2013. That is just around the corner. Please prayerfully consider being a part of this . For more information, please see Pastor John. POLO SHIRTS: Today is the last day to order a CCWO polo shirt. A variety of colors are available and the cost is $12 each. The sign–up sheet is located on the bulletin board. Please see Russell Henna for any questions. We all experience trials and tribulations. Recently God showed me the apostle Paul and his tribulations: put to hard labor,beaten, imprisoned, given 39 lashes 5 times, stoned, shipwrecked 3 times, stranded a day and a night in the ocean and left for dead. Paul still wrote in Romans 5:3–4 “… but we glory in tribulations also: knowing that tribulation worketh patience; and patience, experience; and experience, hope.” I tried to solve my trials “my way” several times and it failed several times; so I patiently tried God’s way and it worked! So when trials come my way, I try God’s way sooner because, from experience, His way worked the last time, which leads to hope–the absolute expectation of coming good. So now, finally, after a long Christian life, I am learning that tribulations are a chance for me to have a front row seat to watch my God in action in my life because He loves me. Now I pray telling God I have a problem and allow Him to solve it His way, in His time, with His unlimited resources. As you can see, this scripture shows the Godhead or Trinity. There are many more we could look at. The bible teaches that there is only One true eternal God by Nature (monotheism), and the one true eternal God exists as three eternally distinct, yet inseparable Persons, each of whom is truly God by Nature: “the Father” (2 Peter 1:17), “the Son” (Hebrews 1:8), and “the Holy Spirit” (Acts 5:3–4). They are not three Gods (Tritheism), nor are They three modes, offices, roles, or titles of God (Modalism). They are three eternally distinct, yet inseparable Persons who exist as the one true eternal God (Trinitarianism). God is Triune (1x1x1=1 God), not triplex (1+1+1=3 Gods), nor Unitarian (1 person=1 God). The bible clearly teaches there is only one true eternal God by Nature, and there are three eternally distinct, yet inseparable Persons, each of whom is truly God by Nature. So the logical conclusion (based upon what the bible teaches) is that the three eternally distinct yet inseparable Persons are the one true eternal God. Praise Jesus! As I sit in the mall watching people rushing in for the early sales, trying to be there before everyone else, it makes me wonder if I slept through a couple of months in absence. Why do we routinely shop immediately right after summer? We get stressed and get into more debt by shopping early for Christmas in September! It doesn’t help when the stores already have their Christmas items for sale as decorations on their windows. James 1:17 says, “Every good gift and perfect gift is from above, and comes down from the Father of Lights, with whom there is no variation or shadow of turning.” So relax, slow down, smell God’s roses, and if you shop a little later – you may get a lot more bargains. Trust in the Lord for all your needs. Remember what Philippians 4:19 said, “And my God shall supply all your need according to His riches in glory by Christ Jesus.” It is time to focus on our Lord Jesus Christ. When you invest in the kingdom of God, in the gospel of God, for the glory of God; God returns it in harvest time and He will return more than you gave. If a man has enough faith to put that seed in good soil, which means for the glory of God, for the kingdom of God, for the gospel of God, for the program of God, in the ministry that promotes the claims of God, so that people will be won to Christ, grow in their faith, lives are changed, the poor are enhanced—that re-investment in good soil—God takes note of and begins the multiplication process. An investment in God’s kingdom reaps eternal rewards. 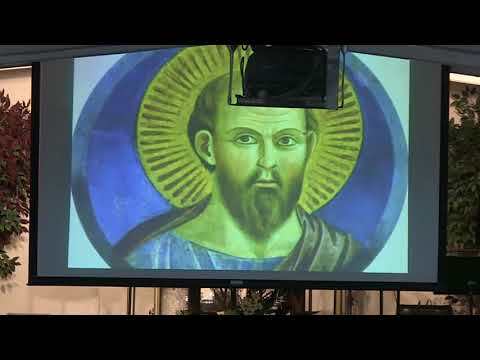 The Berean people were listening to probably the most knowledgeable preacher of that day, the apostle Paul, who wrote most of the New Testament. Yet they searched the Scriptures daily to make sure that what Paul was telling them was true. When we mimic or do the very things that the Bereans did towards Paul, we will greatly benefit in the following areas: It will help us to feed ourselves spiritually, Protect us from false teachers/false doctrines, Reinforce and confirm the truth of God’s Word in our hearts, Cause us to mature and grow spiritually, and Equip us to share God’s truth with others. The benefits of searching the Scriptures daily are far more reaching than the few that I have listed here. Become a Berean and see that the Lord is good! In this day and age of uncertainty it's good to know that God's word is still certain. The Bible holds so many references to the reliability of God's word and its outcome.